Darren Rovell, sports business reporter for CNBC (and a former ESPN reporter), makes the most of using Twitter. With over 10,000 tweets and over 70,000 followers, his combination of insight and fan interaction makes following his Twitter feed a necessity. 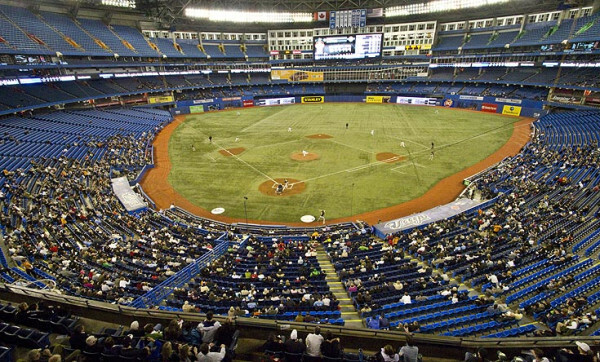 Recently, Rovell asked fans to either send or re-tweet photos from empty MLB stadiums from this past week. 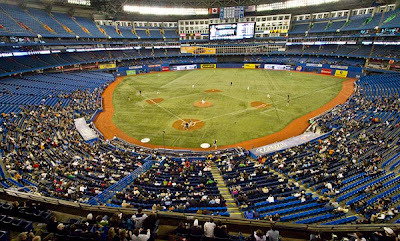 Among the usual stadium suspects: Camden Yards (Orioles), Rogers Centre (Blue Jays), Progressive Field (Indians), Sun Life Stadium (Marlins). to see the Jays beat the Athletics. The Jays are 4-1 this season. as the Orioles lost to the Detroit Tigers. The Orioles are also 4-1 this season. 10,000 fans showed up. The team is averaging around 15,000 fans through 5 home games. Unfortunately for MLB, which predicted an increase in attendance this season, these showings have put a damper on some of the robust ticket sales for teams like the Texas Rangers, Minnesota Twins, and the reigning World Series champions San Francisco Giants. 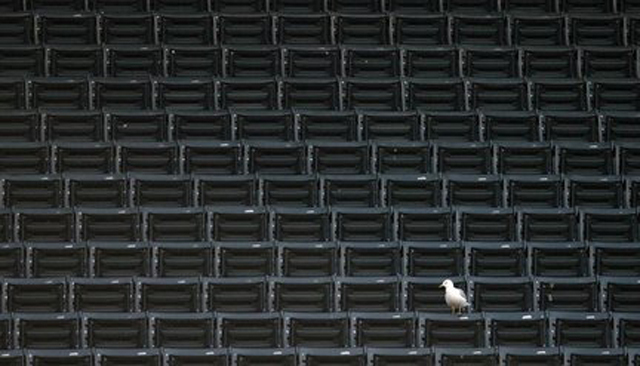 Worse yet, even teams like the Chicago Cubs are struggling in their attendance figures during their series against the Diamondbacks. And while some sportswriters have blamed the winter weather and others have blamed technology, namely improvements and availability of TV and Internet broadcasts, Rovell is blaming the teams. 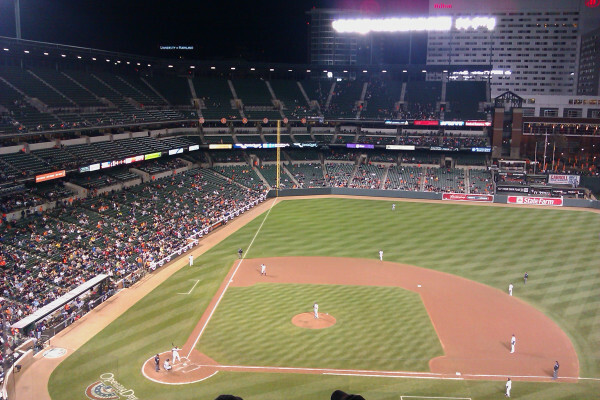 We'll see how the attendance story develops over the course of the season, especially if teams like the Orioles and Blue Jays can keep winning. 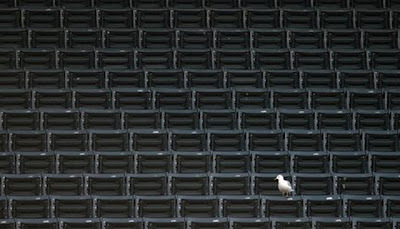 In the meantime, the following picture, perhaps, sums up the attendance potential lurking in Washington, D.C. 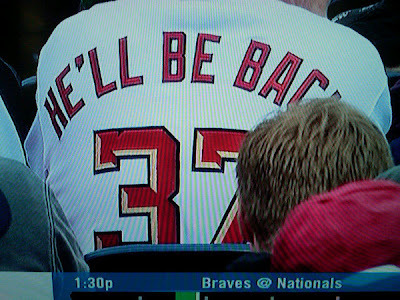 Uniform sighting from the opening series at Nationals Park. Sorry, Nationals fans. You'll have to wait for #37, the phenom Stephen Strasburg - at least six more months. His impact - "the Strasburg Effect" - could surely come in handy for boosting attendance all by himself. Do sports fans live in caves?